Welcome back Bachelor/Bachelorette fans. Even though this is the ninth season, none of the crazy, embarrassing, awkward stuff on this show gets old! Desiree Hartsock, fourth place on Sean Lowe’s season, is here to hand out the roses and so far it seems like she has a great group of guys to choose a husband from. The new season begins with a cheesy introduction of Desiree, who is grateful for this experience and looking forward to meeting all the men. After Desiree’s intro, we get to meet a handful of the guys, including Bryden from Missoula, who is in the military;Will is from Chicago and loves yoga; Nick is a magician and also from Chicago; and there is Brandon who is an adrenaline junkie. It is Desiree’s time to meet the guys and one by one they come out of the limos to make their first impressions. There are a few who are normal, some who make her laugh and some that pull out all the stops. Michael G tries to get the penny, from the fountain in front of the house, that Desiree made a wish with during Sean’s season. Jonathan is plain creepy when he gives her his own fantasy suite card. Larry tries to dance with Desiree but her dress ends up getting ripped in the process. Zak comes out of the limo shirtless asking Desiree “will you accept these abs?” and he stays shirtless the rest of the evening. Chris gets down on one knee, but ends up only tying his shoes. Diogo comes dressed as a knight in shining armor, literally. Nick M gives her a poem, Brandon tries to impress her with a motorcycle and Ben has his son Brody step out of the limo first to give Desiree a flower. 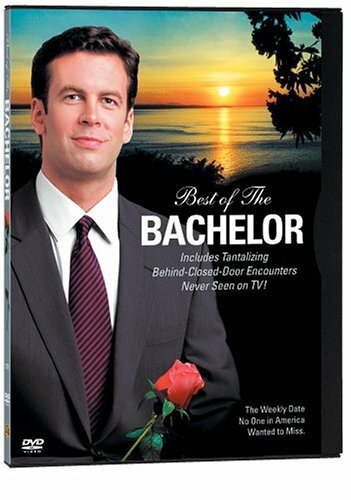 Before Desiree goes in to the party, Chris Harrison gives her the option to hand out roses early if she has the desire to. As soon as Desiree enters the room, the guys are already vying for her attention. Ben gets the first rose and immediately everyone starts to be on edge. It is funny to see guys be envious and a little dramatic just as much as the girls are on The Bachelor. As the party continues she ends up handing out early roses to Zak W (shirtless guy) after he strips and jumps into the pool. Good conversations with Drew and Bryden end with roses. Michael G and Nick M also get roses sometime during the night but it isn’t shown. Some of the guys have awkward moments, like Larry trying to apologize about her dress, but none are as uncomfortable as Jonathan’s. He is still obsessed with the notion of a fantasy suite and ends up trying to make his own somewhere in the house. You can tell Desiree is already creeped out after he tries multiple times to talk to her. When he tries to take her into a dark corner, she ends up asking him to go home. You can tell this guy is done when he tells the camera that he has a love tank that is depleted. The rest of the men applaud her when she tells him she sent Jonathan packing. Time for the cocktail party to be over and for the rose ceremony to begin. Out of the roses that are left, Brandon, Zack K, Will, Brooks, Juan Pablo, Brad, Kasey, James, Robert, Brian, Dan, Chris and Mikey T are chosen to stay. Creepy Jonathan, awkward Larry, Nick R, knight Diogo, Micah and Mike R are given the boot. From the preview shown afterwards, it looks like we are in store for some drama. Out of all the men so far, Drew, Robert, Brian and Bryden are the ones that seem promising, but of course we have many dates and roses to get through. Let this latest Bachelorette adventure begin!